The Cowls exists in a sublimely sweet spot on the musical spectrum. A sumptuous blend of occasionally funked up indie and hypnotic electronica, their sound invites comparisons with the angular pop perfection of Scotland’s legendary Postcard Records at times, hints of Orange Juice and The Fire Engines welling up in the mix. That’s underpinned a danceable take on early electro and modern left field pop, echoing Hot Chip and LCD Soundsystem in the way each track marries personal stories with melodic beats and an often introspective journey contained in the lyrics. But most of all, The Cowls set out to entertain with their sound – it’s open, energetic and relatable, treating the listener like an old friend, inviting you to pull up a chair and lose yourself for a few minutes; or a few hours. 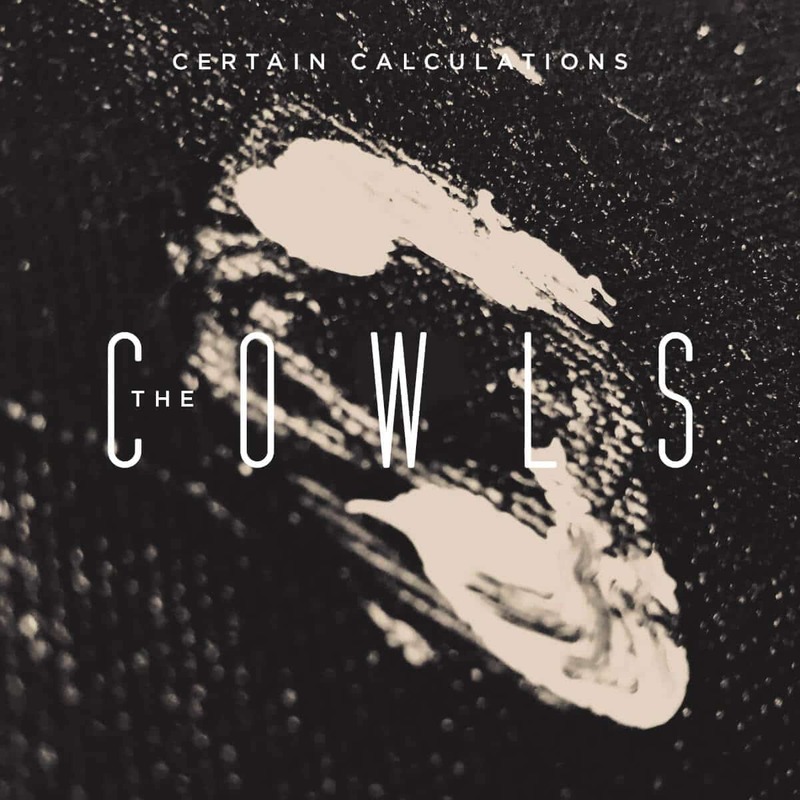 Though only formed in early 2018, The Cowls have already built up a decently sized back catalogue of songs – 16 tracks spread over three EPs between June and September this year. Such is the creativity of main man Damion Jurrens that he’s ready to drop another release in the form of the album Certain Calculations. What followed was a blizzard of song writing, recording and production between the hours of 2300 and 0300 nearly every night that led to a total of 21 songs, which were eventually whittled down to the 12 that will feature on Certain Calculations, The Cowls’ debut release for AnalogueTrash. Jurrens says each song developed organically, but often from wildly different sources, be it a bass line, a guitar riff, a chord progression or a hook, with lyrics being added in the demo stage, the songs reworked and refined like precious jewels being set in a band of gold. Certain Calculations is anything but dark though. There is no wallowing here, no bitterness. The hooks are plentiful, the melodies are catchy, and the songs flow into one another seamlessly. There’s an honesty to the lyrics and a beauty to the music that can’t helped but get under your skin, lift the soul and possibly get you on your feet, dancing along to the infections beats and hooks that pervade the album.